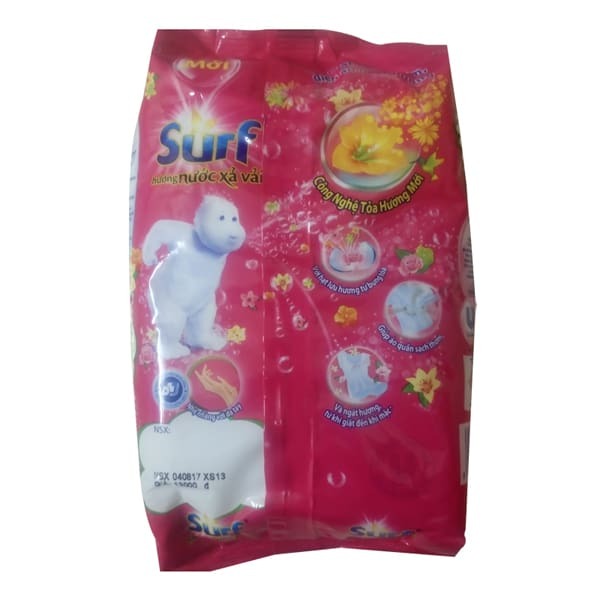 The innovative formula helps to quickly and effectively stain stubborn stains after just one wash. 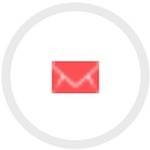 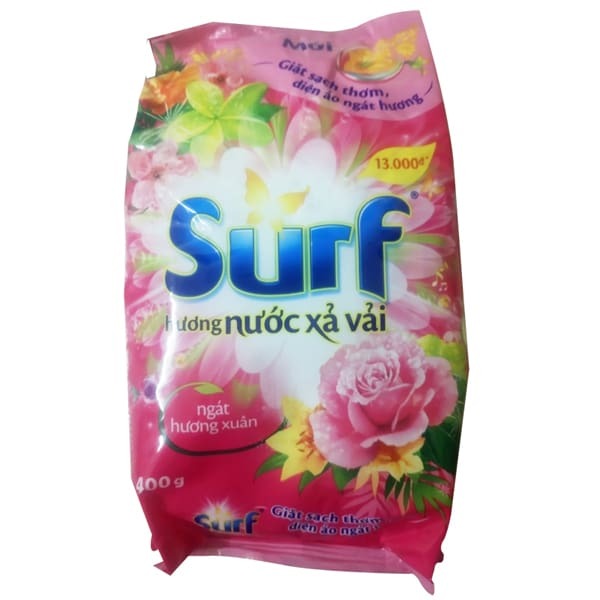 In addition, the product has a perfume fragrance gentle, pure and comfortable to use. 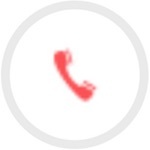 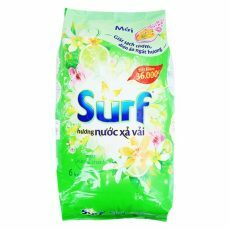 Owns an oxygen-bubble cleaning technology that quickly shatters stubborn stains on clothing, fabrics. 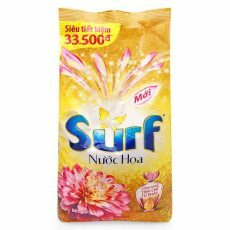 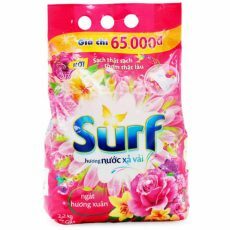 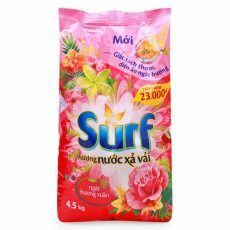 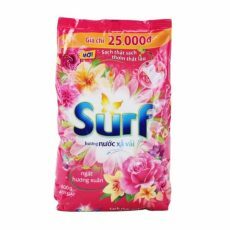 Surf Spring Powder Laundry Detergent 400G also smell deodorant on the fabric: the smell of sweat, food smell, smoke smell ... effective, all day long clothes smell. Keep the clothes color bright.Surf Spring Powder Laundry Detergent 400G with perfume fragrant fragrance from the fragrance fragrance for your clothes always fragrance.